Payroll tax calculation should NOT be headache for small businesses. ezPaycheck payroll software can help you calculate Federal tax, Social Security tax, Medicare tax, unemployment tax, local taxes and deductions automatically. 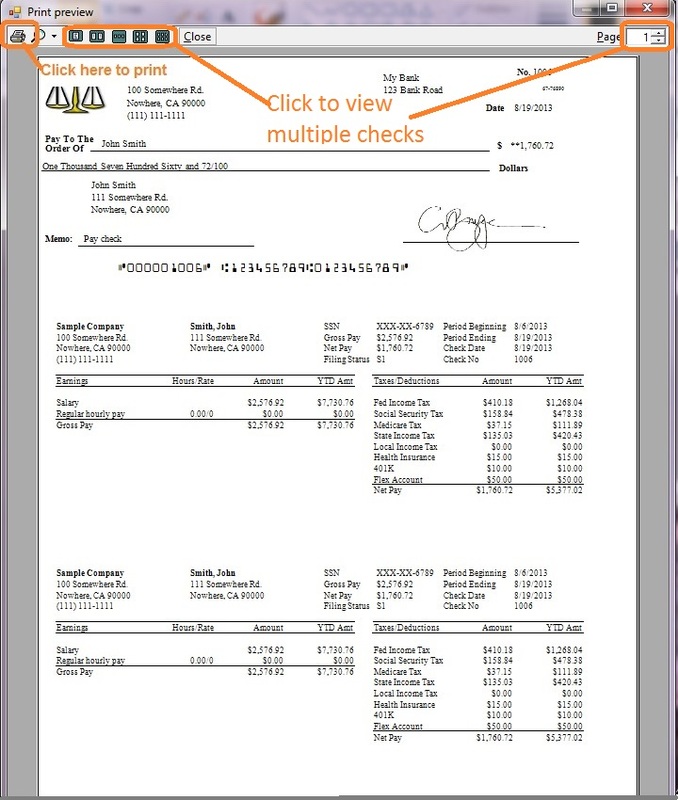 It can prints paychecks on blank stock and pre-printed check. It also prints tax forms w2, w3, 941 and 940. Here is the guide about how to handle the MD state tax. If you want to learn more about ezPaycheck payroll software, you can refer to ezPaycheck Payroll Software Quick Start Guide. You can install ezPaycheck payroll software and try it for 30-day free. Make make sure you install the right version. For example: ezPaycheck 2014 comes with Year 2014 tax tables. 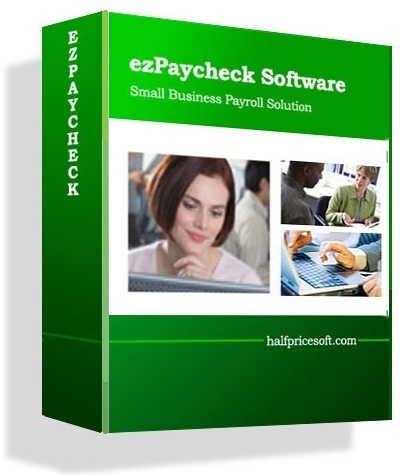 EzPaycheck Payroll software is a good choice for many small business employers. Once you set up company and employee, ezPaycheck will calculate Maryland income tax for you automatically. Start ezPaycheck application, click the left menu "Company Settings" then click the sub menu "Company" to open the company setup screen. Please make sure you select the correct Pay Period there. ezPaycheck can support monthly, semi-monthly, weekly, bi-weekly and daily. Start ezPaycheck application, click the left menu "Employees" then click the sub menu "Add Employee" to add employee profile. EzPaycheck calculates state tax based on employee address. Generate and Print a Paycheck. You will see tax information on paystubs. Why There Is No Maryland Withholding Taken out of My Paycheck? If you cannot see the Maryland tax on the paycheck, do not worry about it. Your employee's income may not be high enough to withhold MD state income tax. You can test it by increasing the pay rate. Or you can refer to the Maryland tax tables there for more details.